For hundreds of years Venice has been the capital of European fashion, showcasing beautiful garments and accessories made from rare materials and finely crafted by its highly skilled artisans. 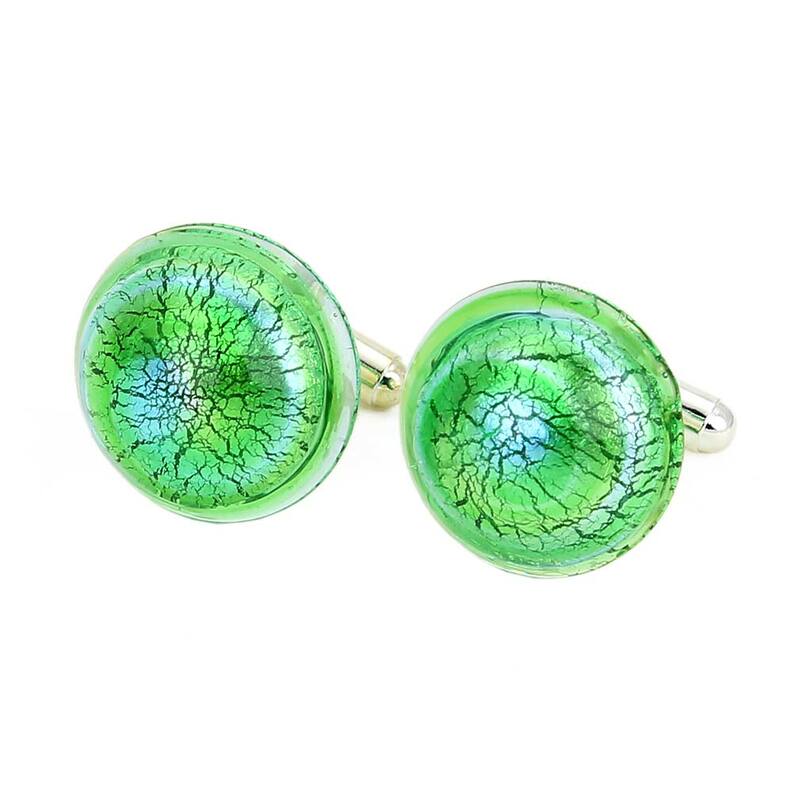 These stunning Murano Glass cufflinks full of unique light and rich color confirm that Venetian artisans still have the talent and know-how to craft one-of-a-kind accessories for those who seek elegance and style. 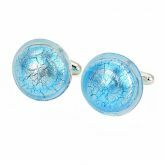 Lined with sterling silver foil and carefully crafted over an open flame, these Murano cufflinks make a powerful impression in any setting - be it at work, at a party, or while attending a special event. 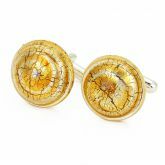 The cufflinks make a perfect gift for any man with appreciation of fine accessories and of European artisan tradition going centuries back. 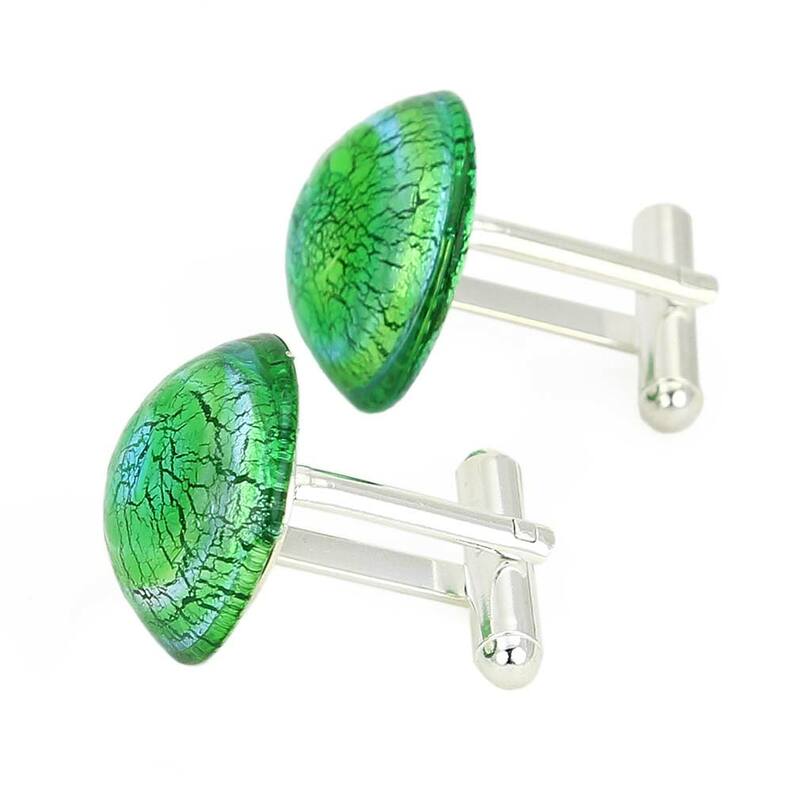 Measurements: Each cufflink has cabochon shape and measures 3/4 inches in diameter. The cufflinks come packaged in an attractive velvet pouch and are accompanied by a certificate of authenticity.